Yes, this is another post filled of pictures of me. I had more to add onto the previous post, but I realised it was getting too long. So, hence, another separate post. So, I know I am by no means talented when it comes to make up. I've been struggling quite recently to get it looking good and like I have some idea of what I'm doing. But today I had a pretty good make up day, so I decided I would share it. 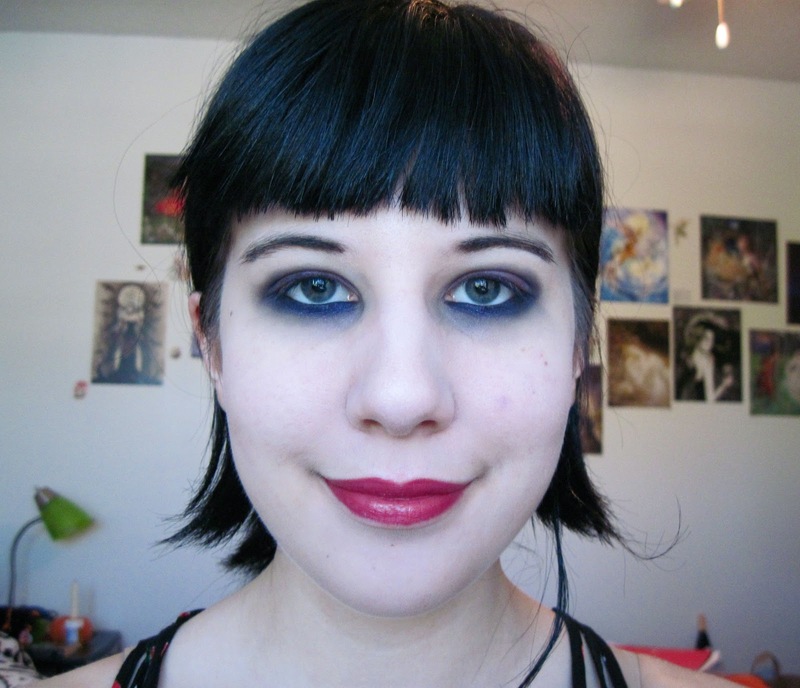 I do love the black make up, but sometimes it's fun to jazz it up with some colour. 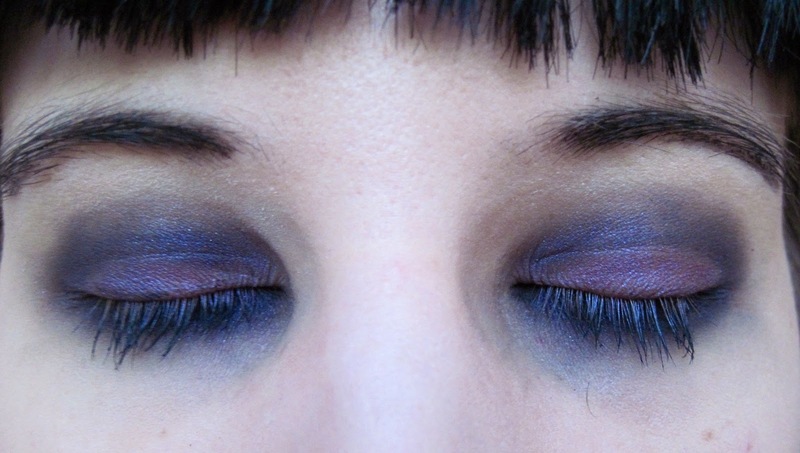 I love purple because it looks so mystical and so I made it nice and smokey/smudgy. My camera doesn't capture it exactly like it is, so I'll explain how I applied it. First, I started with a medium purple on the lip near the inner end. 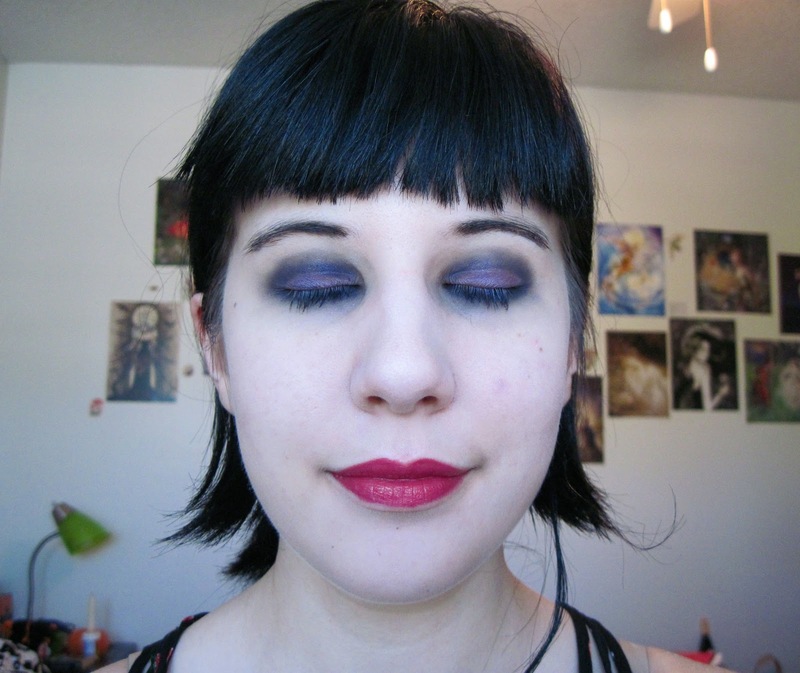 Then, I blended out to the outer half of the lid with a rich amethyst purple. The crease I filled with a smokey purple and then with some black. I lined the bottom of my eye with black pencil eyeliner, smudged that around and then added some more liner to actually line the eye, then brushed some of the smokey purple and the black over the liner. Put some bright lipstick on and voilà! Now, onto the hair. I didn't actually do this today, it was a few weeks ago (hence why I'm not wearing the same make up in these sets of pictures). I really love this style and I think it's perfect for keeping your hair off your neck during the hot summer. So, what I did was make a messy bouffant. 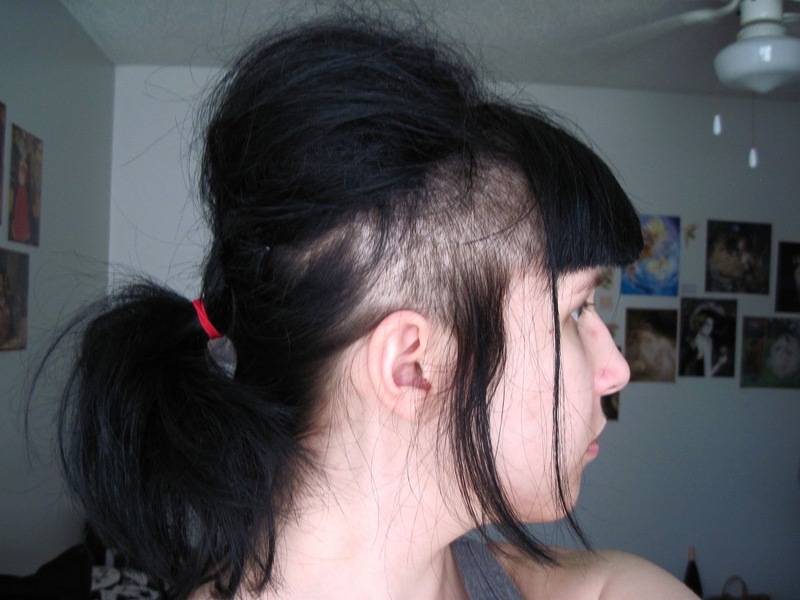 To do this, I first flopped the hair that I wanted up in front of my face and then proceeded to backcomb the crap out of it. Then, once it was all tangle and knotted, I swept it up on my head, got it the way I wanted, then pinned it with bobby pins and hairsprayed it. 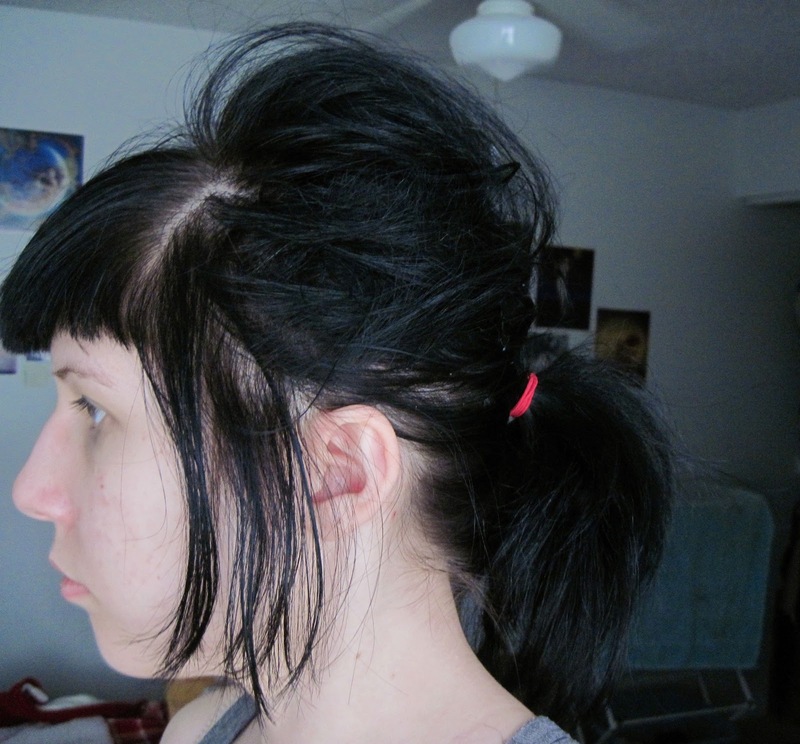 Then, I gathered the rest of my hair into a ponytail near the bottom of the bouffant so that it looked like one thing. 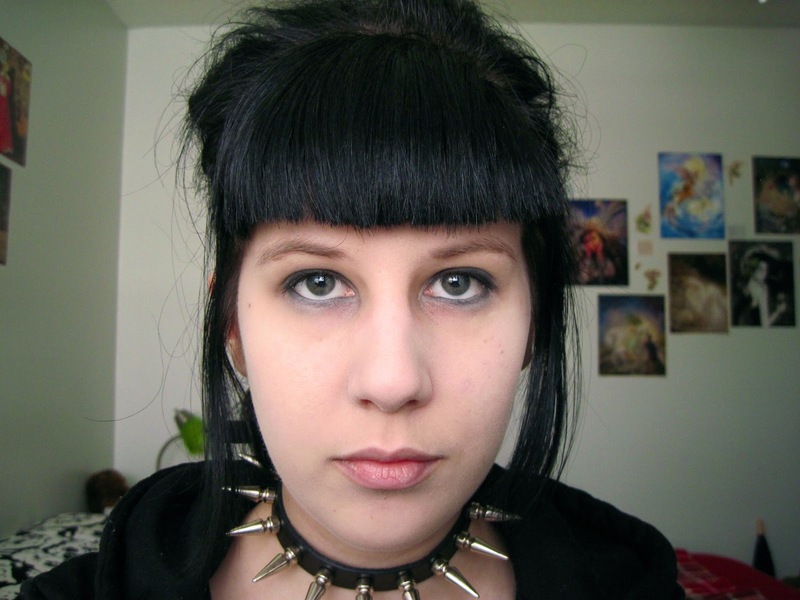 Fixed my bangs and tada! I love this style for many reasons. One, it's super easy. Two, it keeps my hair off my neck, which I love in the summer. Three, backcombing is awesome so, thus, this style is awesome. Four, it's cute, what other reason do you need?